Clearly, its strategy is working: Square's stock is up 175% this year. That's more than 11 times the S&P 500's 15% growth. 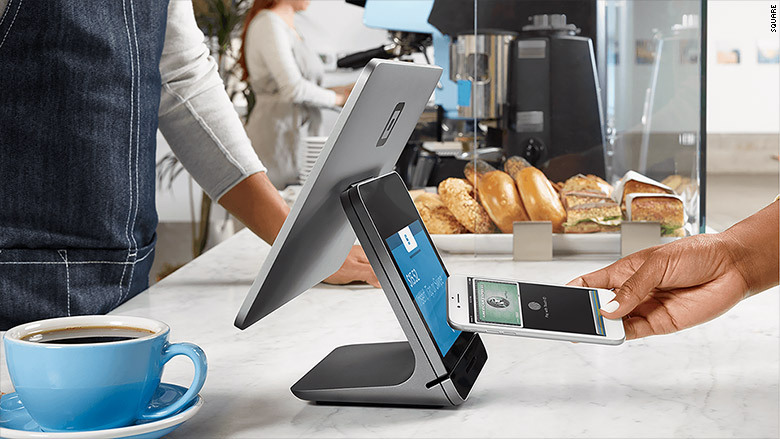 Square made its name as the company that turns every phone or tablet into a cash register. But now it's lending to companies — it makes deposits available immediately — and handling their marketing and employee management software. The company cashed in on those subscription services, which generated around $65 million in revenue -- up more than 80%. Square says its success with bigger customers helped it ramp up sales of its employee management software, which allows employers to track employee hours with built-in timecards. It has lent small businesses more than $300 million. And businesses that wish to go cardless and cashless can utilize its recently rolled out cash register that uses Square's own software and payments technology built inside. Overall, its adjusted sales rose nearly 50%, beating Wall Street's estimates. One potential concern for investors: As Square grows, so do its expenses. Last quarter, Square paid $234 million in fees to financial institutions. The company owes those transaction fees when customers transfer money to their bank accounts. Those fees made up 91% of the $257 million of revenue Square brought in last quarter. Investors didn't seem to mind: Square (SQ) shares were up another 1% Thursday. In addition to its success with small businesses, Square continues to grow in the peer-to-peer payments space. Its Cash app recently passed Paypal's Venmo in downloads from the iTunes App Store, gaining traction with people who want to transfer money instantly with their friends and family. The mobile payments market is growing rapidly: Global payment revenue is estimated to pass $1 trillion by 2019, according to market research portal Statista. There's plenty of room for Square to grow. Square is not currently a big player internationally, where WeChat thrives in Asian peer-to-peer lending and Facebook (FB) plans to make strides in the U.K. Zelle, which is backed by large financial institutions, recently launched a standalone app and is vying for Millennials' money. Square has so far been successful in its attempt to differentiate itself from its competitors -- a major accomplishment for CEO Jack Dorsey, who also founded and leads Twitter (TWTR). At this rate, Square could soon overtake Twitter's market value: Square trails by less than $1 billion.